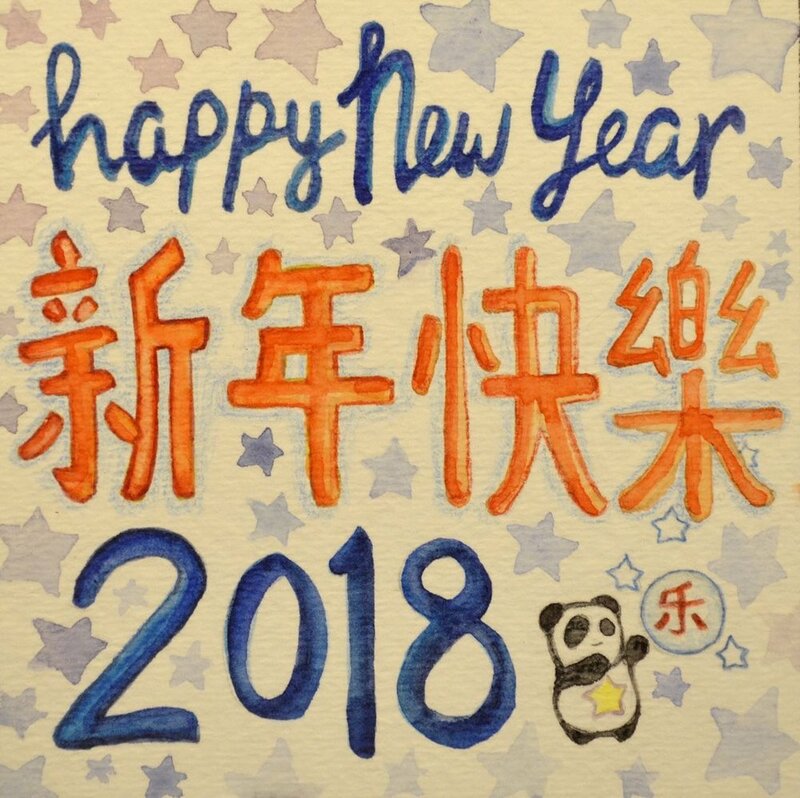 Happy 2018, 新年快乐 (xin1 nian2 kuai4 le4) everyone! In 2018, we continue our weekly podcast of the adventures of the Monkey King Sun Wukong! As usual, after 5 bilingual episodes, I will make an immersion “super episode”! You can find the Panda Cub Stories Podcast on i-tunes, google play or WeChat! You can find all past episodes here. According to research, with a grasp of the 500 most common Chinese characters, you can read 75% of modern Chinese! Starting this year, I will be teaching one Chinese Character a day. For the first 100 days of 2018, I’ll take us through the 100 most commonly used Chinese Characters – explaining etymology and providing examples along the way! After that, we’ll move on to the next 200, 300 characters etc. My goal is to here is to help us reach basic reading proficiency by the end of 2019... and become increasingly literate going forward! I’ll be updating the panda Instagram and panda WeChat daily, so follow us to keep up! I'll also keep a record of all characters covered here. Lastly, I'm about to head back to Cambridge to start the Lent term of my Children's Literature MPhil. I'm grateful for the chance to be studying something I'm passionate about and hope to improve as both an educator and a storyteller in 2018! I'm also grateful that you are a part of this story. Cheers to a great year ahead and HAPPY NEW YEAR!